10 FREE Holiday Photo Greeting Cards (Just Pay Shipping)! You are here: Home / Great Deals / 10 FREE Holiday Photo Greeting Cards (Just Pay Shipping)! YAY! This awesome FREEbie offer is back, and it looks like it’s available for both new and returning customers! 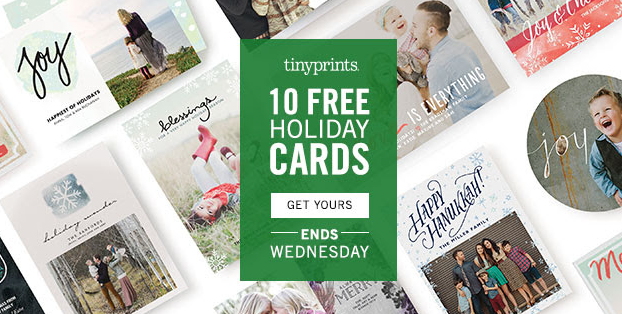 Right now through 11/12, you can snag 10 FREE Holiday Photo Greeting Cards! You will need to use code 10FREECARDS at checkout. This is the perfect time to get those cards made for those special people in your life, while they are FREE!! All you pay is a small shipping charge. Way better than paying retail!